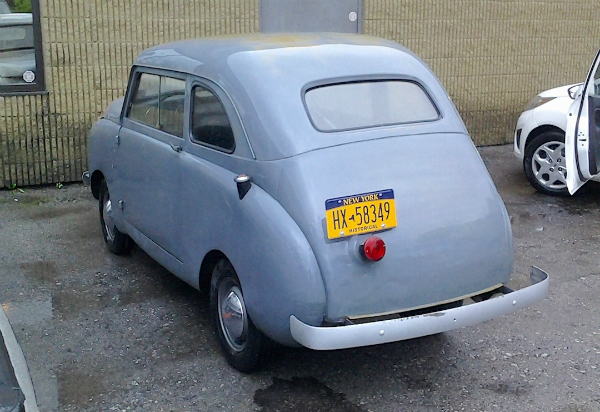 Compacts weren’t exactly all the rage back when this 1947 Crosley sedan was on sale. Part of the problem may have been its price. This one stickered for $888 — another $314 would buy you a full-sized Chevy two-door. The price of gas wasn’t exactly an issue back then, so I imagine most of the 14,000 or so of these that were made that year were sold to: people who wanted a cheap second car; someone who was “thrifty” in the pocketbook department; those who liked to be different; or drivers with a tiny parking space. Saw this one a short while ago in Youngstown. Jim Corbran, RRofWNY …and check out our Facebook page: Non-American Classic Cars The post RealRides Of WNY appeared first on Buffalo Cars.